Jazz Times magazine calls Jerry Granelli "one of those uncategorizable veteran percussionists who's done it all." A Canadian citizen since 1999, Granelli burns with an intensity fuelled by a passion for "the pursuit of the spirit of spontaneity which drives the player." A veteran of the San Francisco jazz scene, Granelli's recent flourish of recordings has documented remarkable collaborations between the generations. 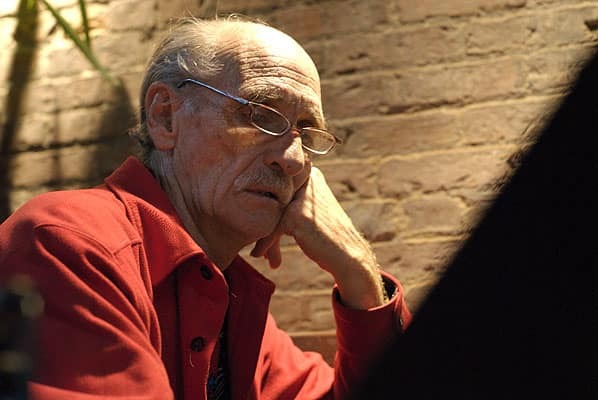 Jerry Granelli's story is one that follows the evolution of the San Francisco Hard Bop jazz scene. Born in 1940 in San Francisco, the boy recognized his passion in 1948 when he spent a day with Gene Krupa. Hanging out during the 50s in San Francisco nightclubs like the Blackhawk, The Jazz Workshop and Jimbo's Bop City, gave him a direct connection to what was happening in New York City. Soaking in the sounds of Miles, Max Roach, Philly Joe Jones, Elvin Jones and Monk, his passion grew, eventually leading him to Dave Brubeck drummer Joe Morello. After two years as Morello's star pupil, Granelli became a highly sought-after session player, eventually playing, recording and touring with the Vince Guaraldi Band. He provides the unmistakable steady swing beats for the classic Charlie Brown "Peanuts" theme song. styles began to swing towards the beginnings of psychedelia. His free-form improvisational trio held down the opening slot for comedian Lenny Bruce for three months in 1963, and shared bills at The Matrix and The Fillmore with Jefferson Airplane, Big Brother and the Holding Company and the Grateful Dead. They also accompanied the Dead on their first European tour in 1971. Granelli became a Buddhist in 1970, and from the mid-70s through the 90s he focused on teaching, bringing his insider knowledge to hundreds of students at the Naropa Institute in Boulder, then Seattle's Cornish Institute, the Conservatory in Halifax, and the Hochschule der Kunst in Berlin. In the early 90s Jerry moved to Halifax and immediately became a keystone in the jazz community. Along with Halifax's Jazz East organization he founded the Creative Music Workshop a two-week intensive music program that takes place every summer in conjunction with the Atlantic Jazz Festival. Join host Stephanie Domet on CBC Radio One each and every Saturday afternoon from 5:05 to 6:00 p.m. (AT).